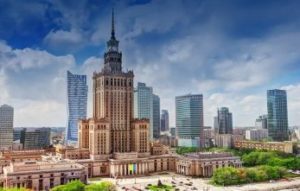 Together with the Partner Country Poland, I am extremely honoured to welcome you at the Jubilee 25th International Travel Show TT Warsaw. I am glad that you accepted our invitation and that today we are celebrating the silver jubilee of the Fair together. From the very beginning of this event, it was our aim to create a meeting platform for the tourism industry from all around the world and to present Poland to a wide audience. Let me thank all the Individuals, Companies, Institutions, Patrons, Partners and Exhibitors who have supported us through all these years. As always, the offer of exhibitors at TT Warsaw is impressive. At this year’s edition, you will be able to acquaint yourselves with propositions of 500 exhibitors from over 50 countries. We have prepared for you technical conferences, country presentations, training sessions, as well as meetings with travellers – and this is only a part of our extremely rich programme. This three day event is a perfect opportunity to exchange experiences and build up contacts at home and abroad. Let me wish you successful business talks and unforgettable experiences. I hope that the time spent at this year’s Fair will be fruitful and highly satisfactory to you.